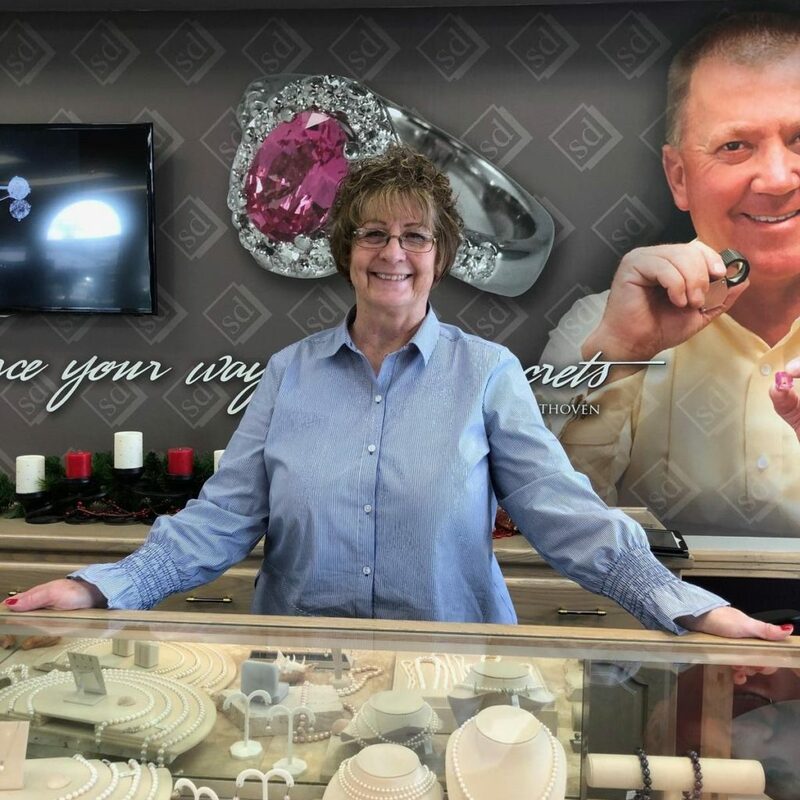 How did you get started in jewelry: I applied for a job @ Dale’s Jewelers after all my children left home. I have loved it! Worst piece of advice: Negative behavior equates change. Personal motto: Make a Difference!